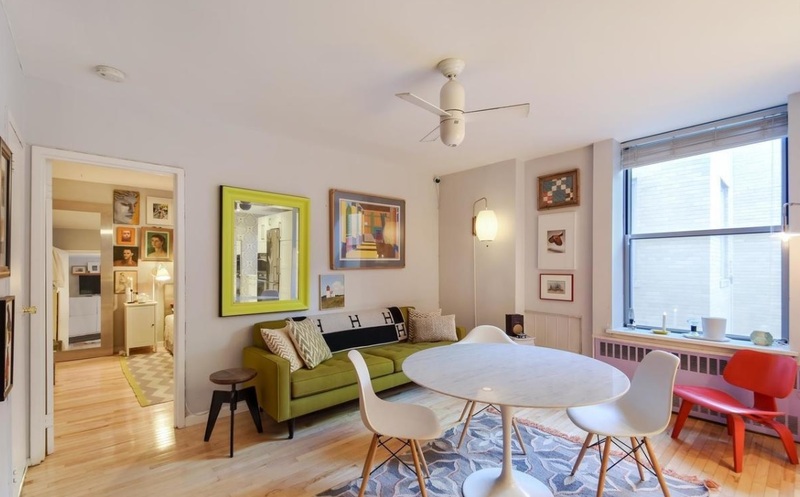 WINDSOR TERRACE: This renovated one bedroom, one bath in a cat-friendly elevator building is listed for $499,000. Have a $500,000 budget but don’t think it’ll be enough to snag you a true one bedroom in New York City? Think again. 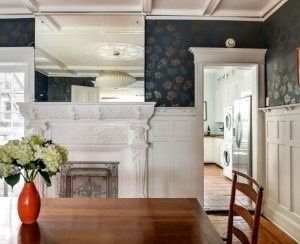 Here are five units across the city that are listed for less than half a million. 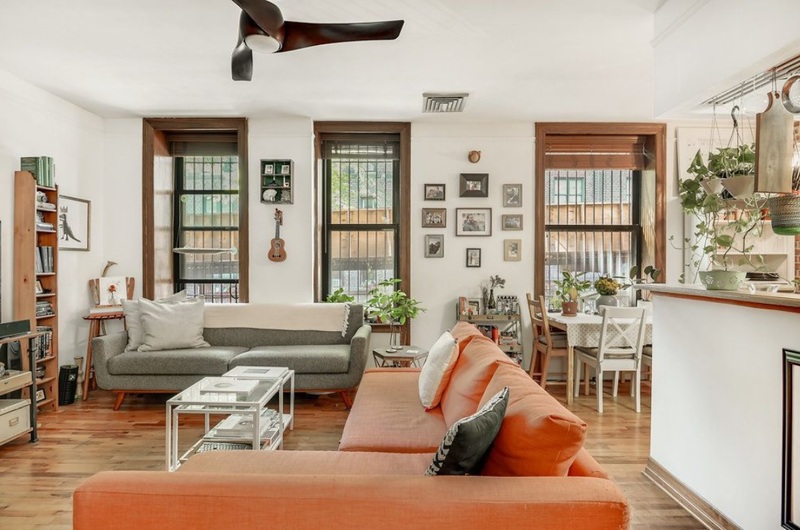 WINDSOR TERRACE: This 680-square-foot renovated one-bedroom, one-bath co-op (also shown at top) is at 243 McDonald Ave., between Greenwood Avenue and Fort Hamilton Parkway. 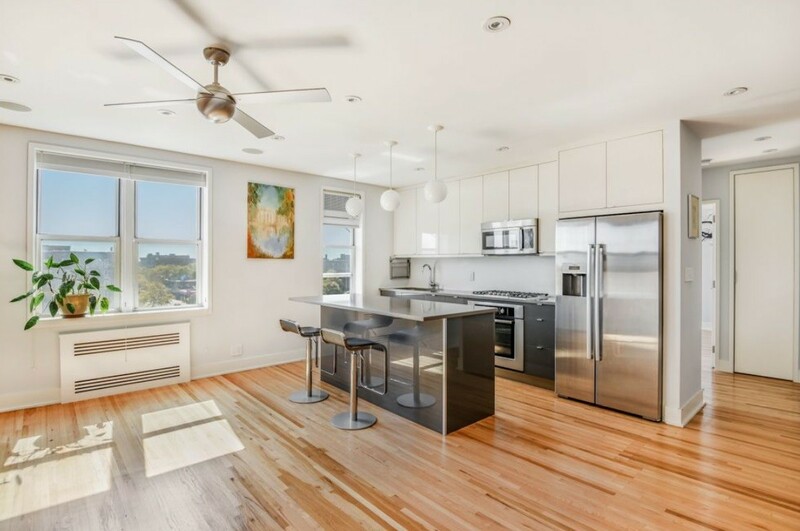 It has hardwood floors, custom shelving in the living room, marble floors with radiant heat in the bathroom, four large closets, and a windowed kitchen with Caesarstone counters, an island, custom cabinetry, and stainless steel appliances. In a cat-friendly elevator building with a live-in super, a private courtyard, a bike room, a recreation room, laundry, storage, and parking. It's listed for $499,000, plus $515 a month in maintenance. PROSPECT HEIGHTS: Here's a first-floor one-bedroom, one-bath co-op with hardwood floors, lots of closets, and stainless steel appliances in the kitchen. 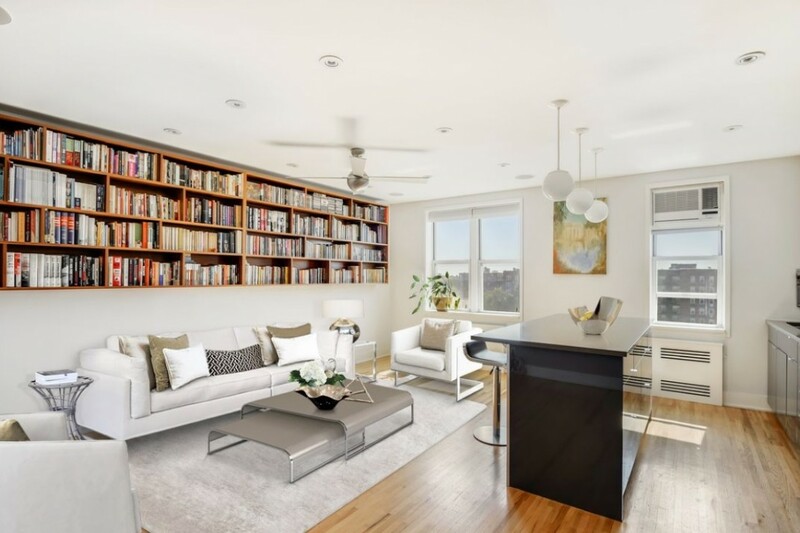 It's in a cat-friendly elevator building at 375 Lincoln Pl., between Washington and Underhill avenues, with a part-time doorman, a common roof deck with an herb garden, laundry on every floor, a gym, and bike storage (with a wait list). 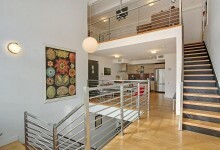 Listed for $499,000 plus $783 a month maintenance. 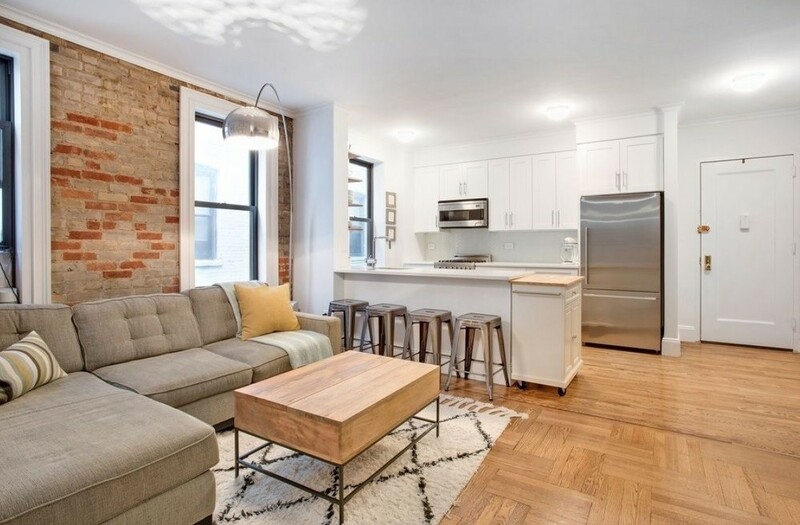 ASTORIA: A one-bedroom, one-bath co-op at 24-65 38th St., between Astoria Boulevard South and 28th Avenue, with an open concept living/kitchen area, exposed brick, a windowed kitchen with Caesarstone counters, a windowed bathroom with a bathtub, and in-unit laundry. In Astoria Lights, a four-building co-op complex with a landscaped courtyard, bike storage, and a gym. The asking price is $499,000, and maintenance is $675 a month. 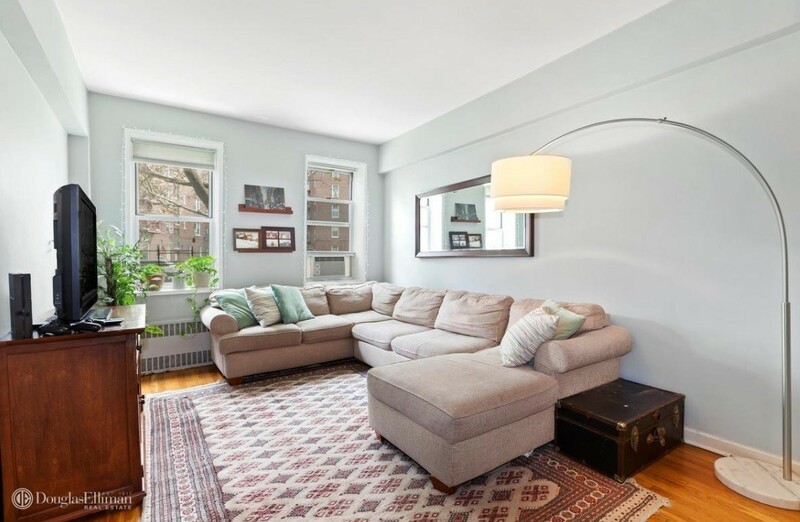 FOREST HILLS: A one-bedroom, one-bath co-op at 112-20 72nd Dr., between 112th and 113th streets, with nine-foot ceilings, a large entryway with built-in shelving, a windowed eat-in kitchen with stainless steel appliances, and a windowed bathroom. 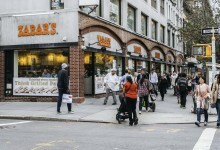 In a six-story building with a 24-hour doorman, an elevator, a live-in super, a landscaped garden and patio, a gym, and a garage with a wait list. Listed for $365,000 with $896 a month maintenance fees. 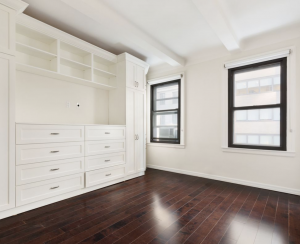 WASHINGTON HEIGHTS: This one-bedroom, one-bath co-op is at 689 Fort Washington Ave., between West 190th and West 192nd streets. It has stainless steel appliances and floor-to-ceiling cabinets in the kitchen, a walk-in shower with seven shower heads and a toilet with a bidet in the bathroom, four closets, and hardwood flooring throughout. 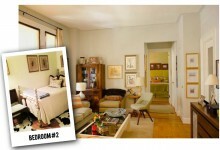 The apartment is in a pet-friendly building with a live-in super, a laundry room, and storage. 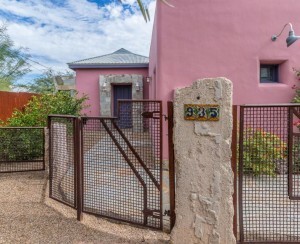 Asking price: $429,000. Maintenance: $880 a month.